Serving our San Francisco based brides is always very interesting. They are from all over the globe and bring their own ideas of elegance and beauty with them. As they embark on a new journey it is exciting to go along for the ride. At Hyegraph Invitations & Calligraphy we like to be more than a website where brides can peruse the images. We like them to see the invites in person, with their fiances and their families. Whenever a bride and groom come in to Hyegraph, they like something simple and elegant. However, that elegance is different depending on our couple. With the help of our over 60 design companies we work with and our own personal experience we work on creating a unique invite for our bride and groom. Sometimes, a bride will come in alone to spend time with our different designs, then she usually likes to bring in her fiance or a best friend. In the end, we end up meeting the family and having a good time. Being in the invitations business is a privilege. Because unlike other professions like a doctor, whom a person may see when they aren’t well, a bride is in general a person at one of the happiest times of her life. Of course this doesn’t mean they are not stressed out. The good news is we have many options for them. For example a beautiful Letterpress Invitation. A letterpress is very ultra elegant invitation; it brings an ultra layer of sophistication to the invites. 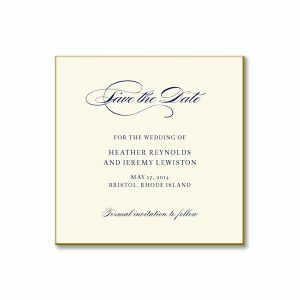 There is also engraved invitations and then most often we opt for Thermography Printed invitations because these are very regal, yet cost efficient. Budgets are another thing on the minds of brides & grooms. So we are sensitive to our couple’s budgets. The above are only a few of our fine wedding invites. 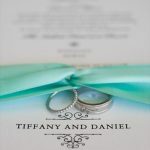 Of course we have so many more you can see on our Wedding Invitations Page, on our Wedding Blog and ONLINE Wedding Invitations. In addition to elegant Wedding Invitations & Save the Dates our bride & grooms also love our Hyegraph Digital Calligraphy for Invitations, Envelope Calligraphy, Place Card Printing, Programs & Menus. We love serving our couples, working with event coordinators and wedding planners. 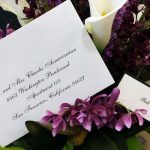 We also love working with brides & grooms not only from the San Francisco Bay Area but surrounding cities as Napa, Los Angeles, Beverly Hills, Santa Barbara and nationwide including Seattle, Wa., Washington D.C., Texas, Florida, New York, and Boston. We also work very well with Destination Weddings and Indian or Ethnic couples to create brilliant designs for Indian Wedding Invitations. If you would like to work on a beautiful invitation for your next event simply Contact Hyegraph! Thank You for considering us for your design and printing.